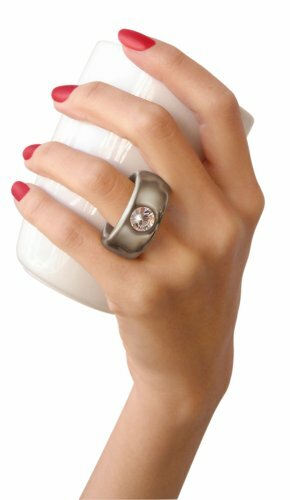 Here's a great way to start the day - a graceful porcelain cup that adorns you with a sparkling solitaire diamond ring when you pick it up! 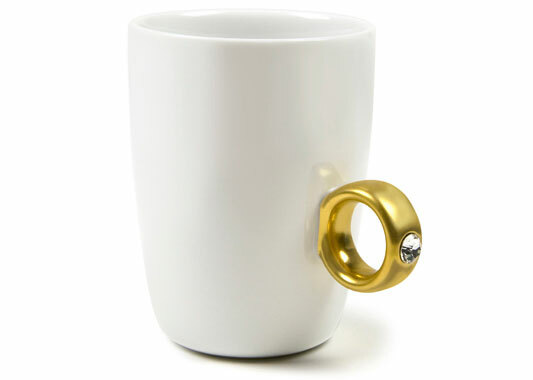 But wait, here's the BEST part - we've packed the 2-Carat Cup in an elegant oversize jewelry box, so when you present it as a gift, all you see is the ring! 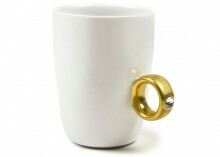 A great cup, a terrific gift, a charming social expression -- this one's got it all. White porcelain with gold or platinum glaze and clear sparkling Swarovski crystal, individually boxed with removable wrapper. Click the button below to add the 2 Carat Cup to your wish list.